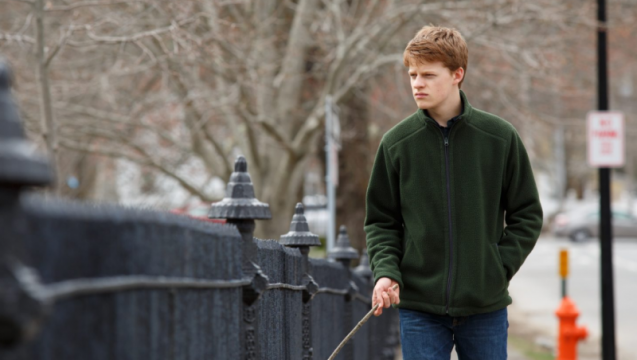 Sound the reunion klaxon, folks, for Showbiz411 reports that Lucas Hedges is set to join his Manchester By the Sea co-star Michelle Williams for Mid-90s, Jonah Hill’s coming-of-age drama that’s also doubling as a directorial debut for the Oscar winner. Eyeing a production start in June, the nostalgic skateboarding pic has been likened to British indies in the vein of Kids and This is England, with most, if not all of the story centering on a teenager named Stevie as he makes the formative steps into adulthood. Directing from his own script, it remains to be seen how Jonah Hill will factor Williams and now Hedges into the narrative, but it’s safe to assume they’ll be playing mother and son, respectively. Mid-90s may represent Jonah Hill’s first rodeo behind the lens, but the actor has an enviable résumé at his disposal, and will no doubt call upon his first-hand experience working under Martin Scorsese, Bennett Miller, Judd Apatow, and Phil Lord and Chris Miller, the formidable creative duo that helped overhaul the dormant Jump Street series into a cinematic gold mine. When pulled together, it makes for quiet a collection of filmmaking talent, and it’ll be fascinating to see how Jonah Hill fares on his maiden voyage. The cameras will likely start rolling on Mid-90s this June, so expect one or two more casting announcements to be made between now and then.